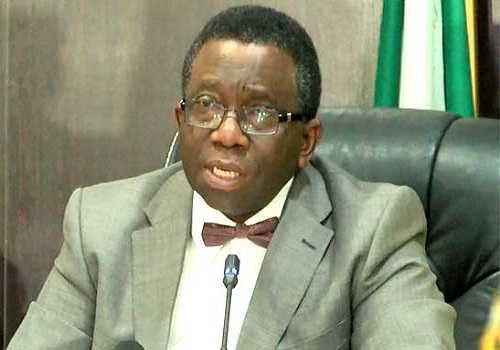 Prof. Isaac Adewole, the Minister of Health has reiterated Federal Government’s commitment toward reducing mortality and morbidity from road crashes in the country. Adewole said this when he received the Special Envoy of the Secretary General of United Nation on Road Safety, Mr. Jean Todt, in Abuja. He said that the Federal Government through the Federal Ministry of Health would continue to partner with the Federal Road Safety Corps (FRSC) and other relevant stakeholders towards realisation of the goals of the UN decade of Action on road safety in Nigeria. He pointed out that some of the activities of the ministry are in line with the fifth pillar of the UN Decade of action which includes establishing and developing a formal training for paramedics in accredited institution in Nigeria. This comes with full curriculum and placement into scheme of service in the country, Prof Adewole added. He explained that there is a fully equipped level 1 Trauma Centre at the National Hospital where victims with complex injuries from Road Traffic Crashes (RTC) are treated. According to him, there is also an established National auto crash integrated data system (NACRIS), which harmonises database of RTC in the country. The Minister further said that there is a development of National Policies on Emergency Medical and National Ambulance Services in the country and that the ministry has started the implementation of free treatment of victims within the first 24 hours of incident. In his remark, Dr. Osagie Ehanire, the Minister of State for Health, said that the FMOH has a consolidated Emergency Medical Service on various highway corridors. Ehanire observed that a pilot of the scheme was undertaken on the Abuja/ Kaduna Highway corridor during the closure of the Nnamdi Azikwe International Airport in April this year. Earlier, Mr. Jean Todt, the Special Envoy of the Secretary General of United Nation (UN) on Road Safety, expressed the need for Nigeria to enact a legislative act for road users in the country, saying it would reduce accidents.